What should you wear to your Engagemetn Session? Engagement Sessions are sometimes the first time the couple gets to work with their photographer, a chance to get to know each other’s style and personalities. Sometimes it’s the first time they have had professional photos taken together, or at all since High School. Engagement Sessions are the beginning of your story as a couple, the big renouncement to the world that you are getting married. At the beginning of the session is where everyone’s nerves are noticeable, everyone hates being in front of the camera. We are very aware of our hands and limbs, we don’t know where to put them or how to stand. But, by the middle of the session, we are dancing like fools and laughing till we cry. Most sessions will end with great conversation over a cold glass of beer, leave as new friends. I get asked this question all the time before an engagement session “What should I wear for the engagement photos?” – I am here to help you out! Your engagement session should be a reflection of you who are as a person and couple. If you’re not comfortable, it will be noticeable in the pictures. Also, wear comfortable shoes if your location will include a lot of walking. But don’t wear tennis shoes! More like choose to wear cute flats or boots with a low heel rather than 5-inch heels. Keep in mind you can always change! Make sure your clothes look like “you” and fit your personality. I like to showcase who you are as a person and a couple, don’t find clothes that look good in others photos – be true to who you are. Wear clothes that are the same level of “dressiness.” and wear similar shades that compliment each other. Choose clothes that look best on you. Do not do matchy-matchy – but complimentary. Stay away from highlighter colors, crazy patterns, and big words on the front. If you are taking pictures in a field or the mountains, consider clothes with more natural colors. And if you are taking pictures in a downtown area, you might consider more urban clothes with bolder colors and style. Either location best colors if you want to stand out are: yellow or red! Girls these are amazing in all locations! For example, if you have light skin, white clothing can wash out your complexion in photographs. Don’t hesitate to take photos before the big day – see what they might look like against your skin tone and how they look on camera. Now that I have covered what to wear, how about we talk about what NOT to wear! If you have certain body parts that you dislike or are uncomfortable about, don’t wear clothing that accents them. For example, if you do not like your arms, do not wear sleeveless tops or strapless dresses (this also applies to wedding gowns!). If you do not like your legs, do not wear a short skirt or a short dress – if you would like to wear shorter skirts or dresses but don’t want to show too much leg, wear leggings! A girl’s best friend! Darker colors such as navy blue or black also look great and provide a slimming effect – I use this trick ALL the time! Fluorescent colors (such as bright orange or anything resembling a highlighter) tend to color cast on faces, necks and hair. When the shirt is so bright, it often also changes the color of the person standing next to them. You want your engagement photos to reflect who you really are, and you want to be comfortable in your own skin. I suggest getting your make up trial for your wedding day the day of your engagement session, this will help you see how it will photograph and last for your wedding day. Again, do not hesitate to take a few photos to see how you will look on camera. When picking a shirt underneath your dress shirt, pick one that has a nice collar, and not a yellow ring or discolored. Accenting colors always look nice, and white will help reflect light. Large shirts that are not tucked in. For guys, it’s usually better to wear a belt if you are wearing a nice button-up shirt. Sometimes, if un-tucked shirts are too big or too wide, they don’t look good and are “boxy.” Fitted shirts and jackets look much better than wide boxy ones. Don’t be afraid to purchase a shirt and return it after the session. When choosing a location keep in mind where the sun sets – most sessions will take place around dusk. Sometimes areas lose light earlier and you don’t want your session cut short or rushed due to lighting. Also, locations should mean something to you both, if you love the outdoors pick someone where it can be photographed to showcase this. Make sure these locations are not private property, and if they are to ask permission and get proper permits. Make sure to bring 4-5 outfits. This doesn’t mean that you have to wear them all – I usually only have couples wear 2-3 outfits. But sometimes you may get dirty or wet and need to change during the session. Extra shoes are a must! Also, makeup and lip gloss/chapstick to ensure your lips and face look fresh. Bring snacks and water if it’s going to be a hot or a lot of walking – the worst thing to happens is someone gets hangry or faint. Dog treats for the fur babies is always a must too – oh and poop bags! Be prepared to have a ton of fun – we will dance and laugh till you cry! Engagement photos are going to be used for albums, gifts, save the dates and framed and hung around your house for years to come. Think about how you want to feel when you look at these photos 5-10 years from now. You don’t want to look too trendy, classic colors and style are ones that will make you happy when you look back. The most important things are – be yourself, be comfortable and be prepared for anything. 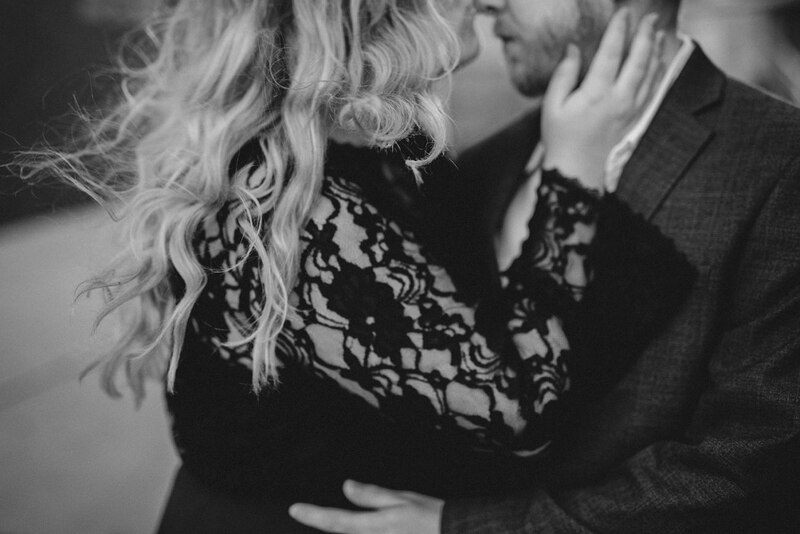 Check out more by taking a look at some of my favorite engagement and couples sessions who have great style by CLICKING HERE. Never hesitate to ask your photographer for inspiration and ideas, we are here to help make your photography experience amazing!